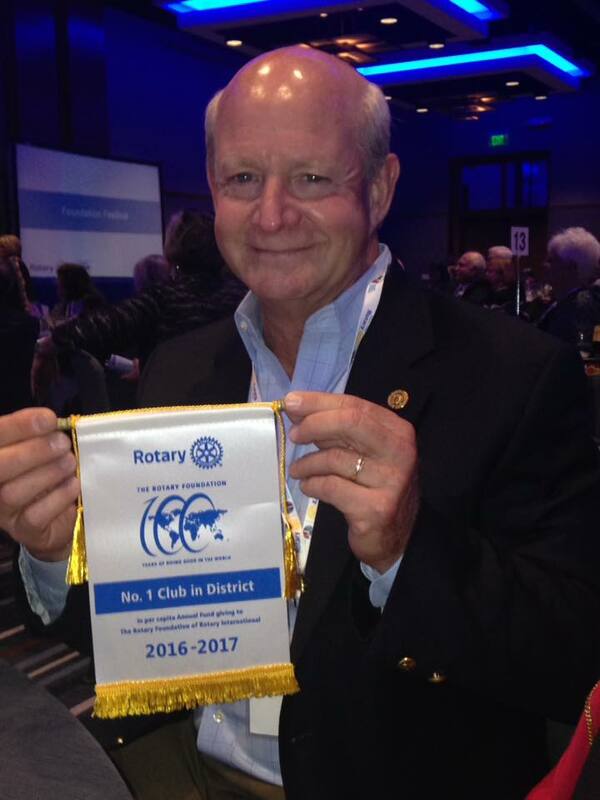 Join Rotary - Membership Info. 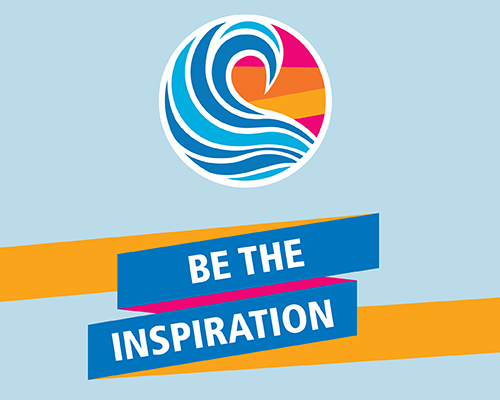 "Show Up; Be Counted; Make A Difference!" 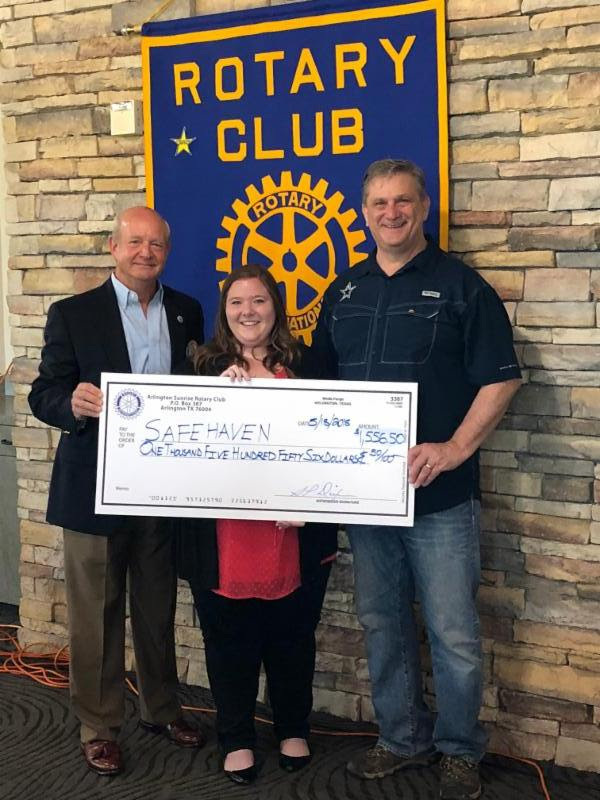 May 18 Foundation Fundraiser "Million Dollar Dinner"
foundation could it have stood." he showed the awesome presentation that the Club had submitted to the judges to review. MATT HINES WINS THE 50/50 RAFFLE THIS MORNING!! 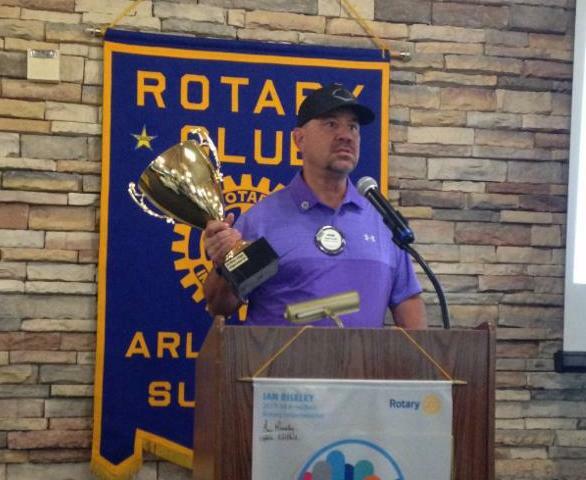 for the Arlington Sunrise Rotary Club. 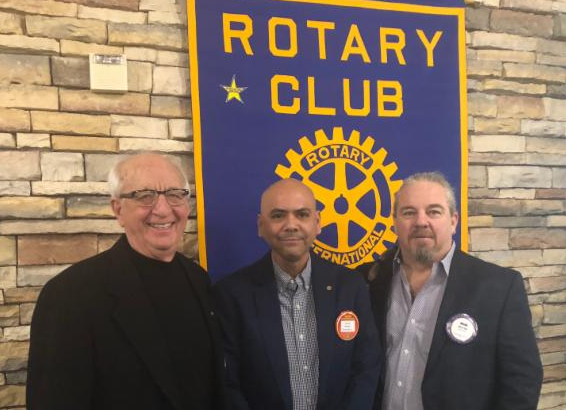 Congratulations and welcome to Sunrise Rotary's newest member, Bryan Acosta (c), with him are his sponsor, Scott Moran (l) and District 5790 Governor Chris McLucas (r). 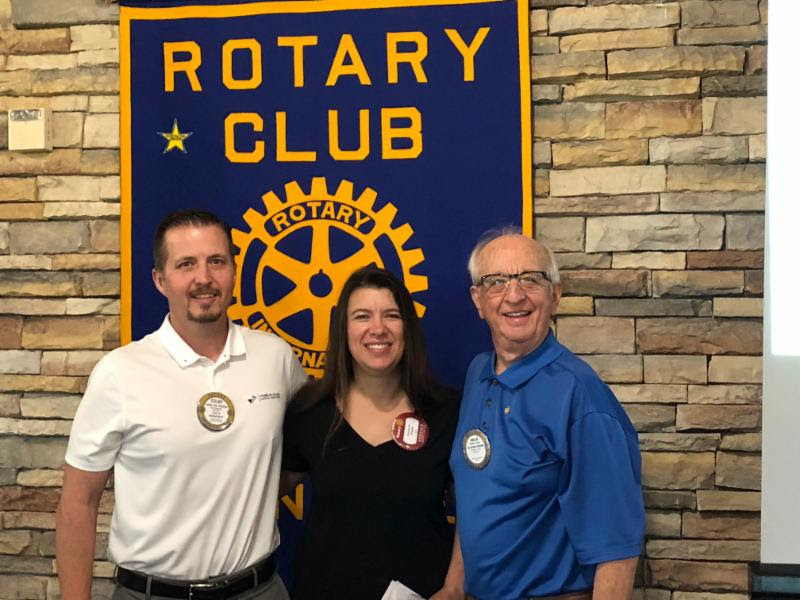 Congratulations and welcome to Sunrise Rotary's newest member, Sallie Moore (c), with her are President Steve Dixon (l) and her sponsor, Will Ross (r). 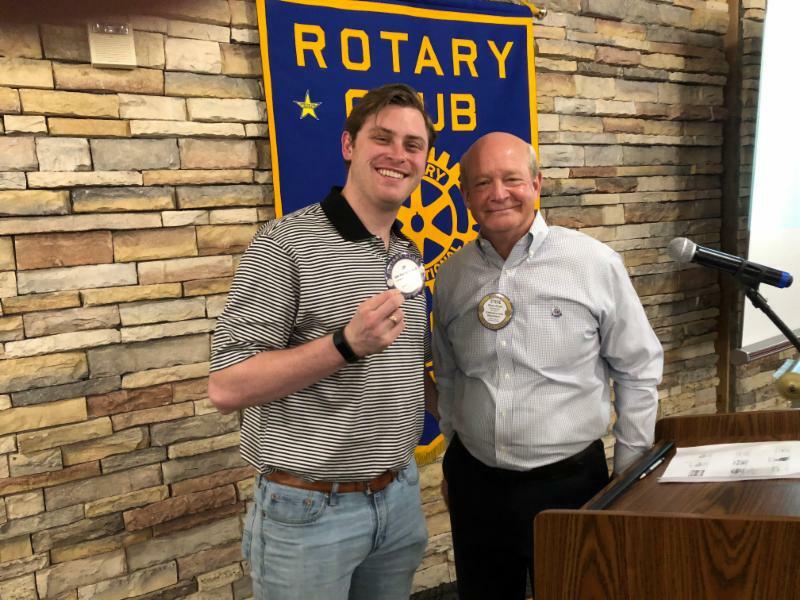 Eli Gross, (c), became our newest member at today's Sunrise Rotary meeting. His sponsor was Mark Cloud (l). Performing the induction into the Club was Past District Governor Hollis Lackey (r). 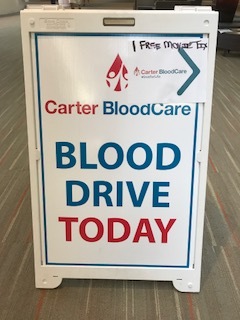 presented by President Steve Dixon. 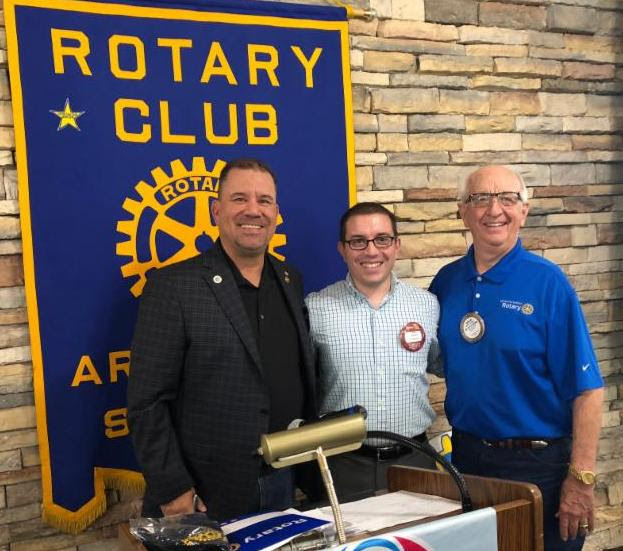 Congratulations to Scot Moran (c), our newest member, upon being inducted into the Arlington Sunrise Rotary Club this morning! 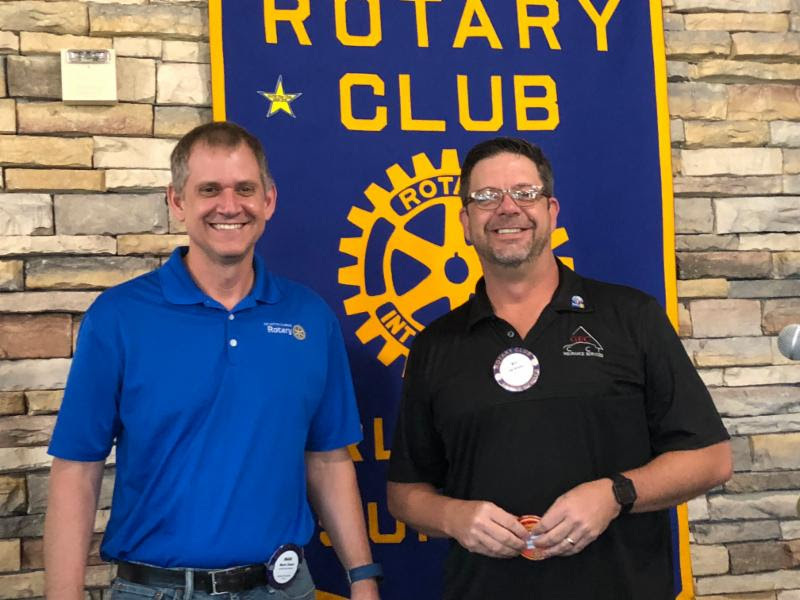 Scot's sponsor was Dwayne Lee (r). Scot's wife, Megan (r), was also on hand for the induction. 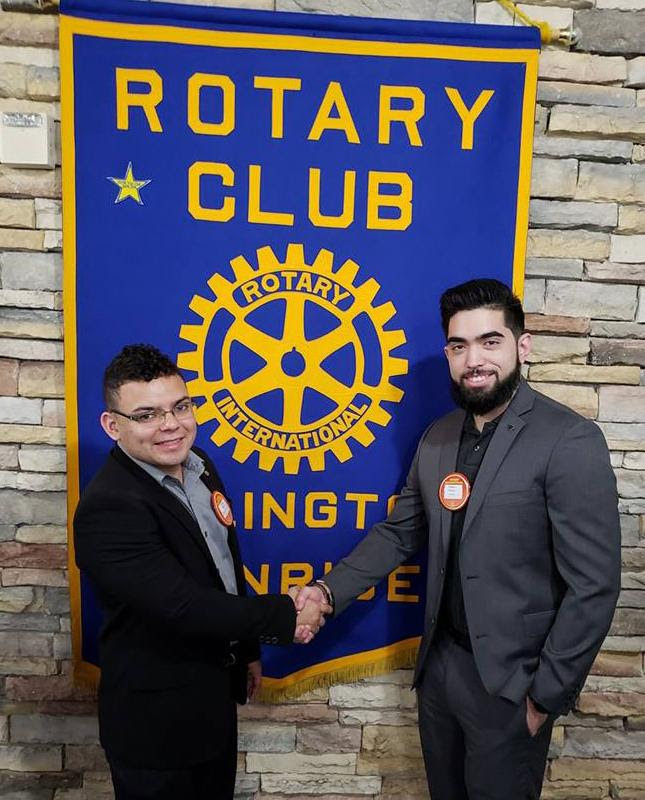 Congratulations to David Gomez (c), our newest member, upon being inducted into the Arlington Sunrise Rotary Club this morning! 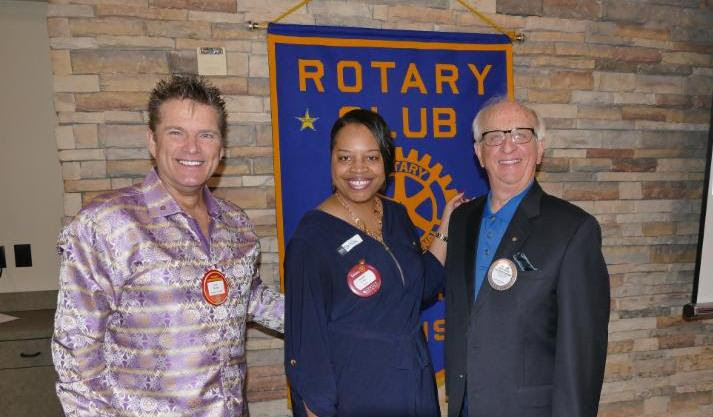 Performing the induction was PDG Hollis Lackey and David's sponsor, Mark Gist. TABLET GIVE-AWAY AT THORNTON ELEMENTARY TODAY! Two lucky Thornton Elementary school kids, surrounded by their family and Thornton faculty, had their names pulled from a bowl of names, all who had Perfect Attendance this past 6-weeks. They each received a tablet for our Rotary Club. 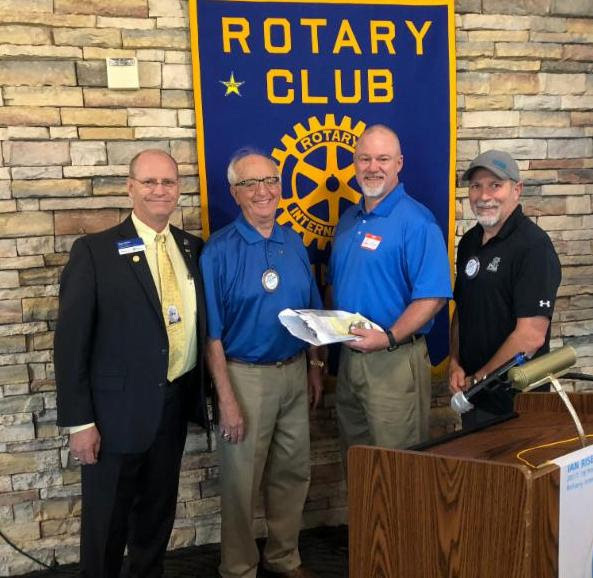 Rotarians present for the presentation included (far left) Tony Blauvelt and Mark Cloud, and (far right) Doug Stewart and Colby Van Sickler. 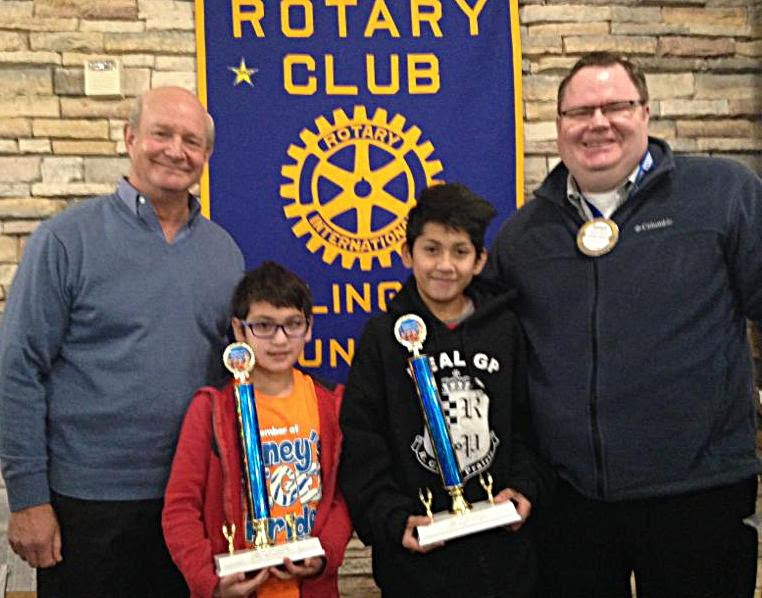 This morning, Andrew Walley (far right) brought Xavier (center left) and Santos (center right), representatives of the Chess Champions at Thornton Elementary School. Xavierrepresents the 3rd-6th grade champions, and Santos represents the 7th-9th grade champions. 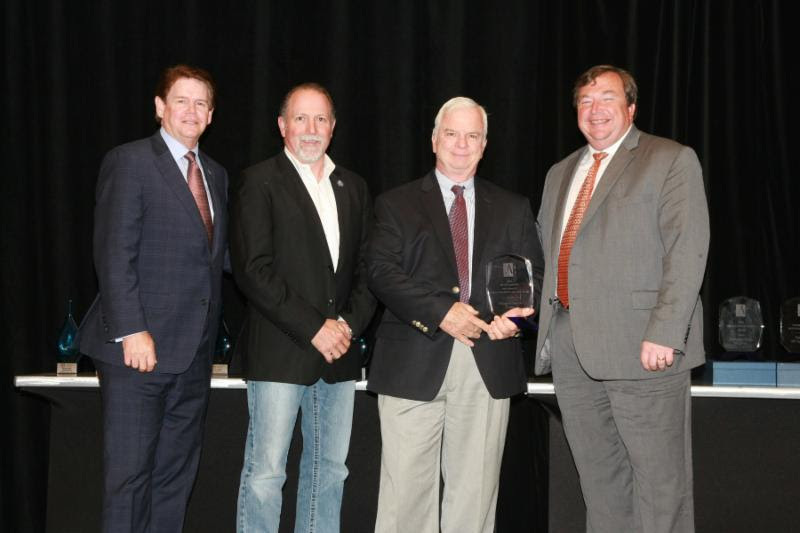 Sunrise President Steve Dixon (far left) is on hand to congratulate the students. PASSING OUT THE CHRISTMAS STOCKINGS! 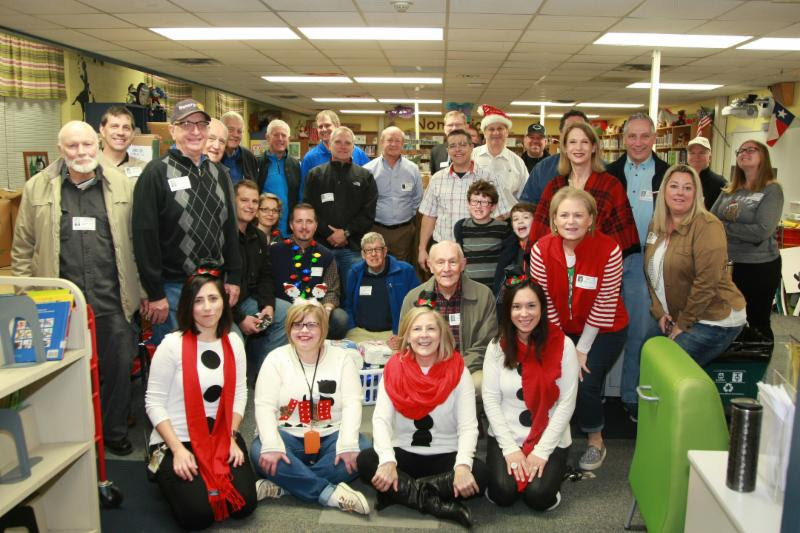 Several Arlington Sunrise Rotarians showed up at Thornton Elementary School on Wednesday to pass out the 900 or so Christmas stockings to each child at the school. 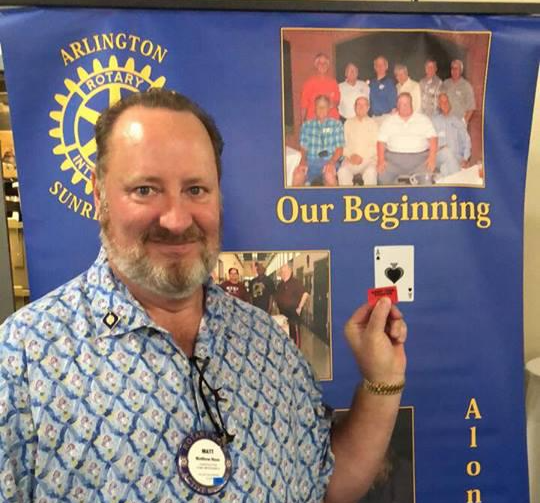 The Arlington Sunrise Rotary Club was presented two awards tonight at the joint District 5790/5810 Foundation Gala. 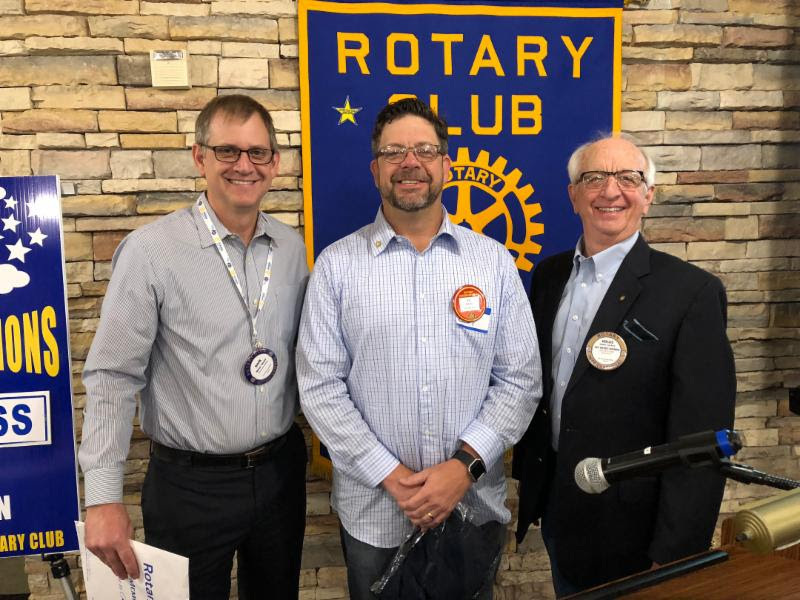 Seen here is President Steve Dixon showing off the #1 in District 5790 for per Capital giving to the Rotary Foundation and the Club also received the Certificate of Appreciation for End Polio Now. 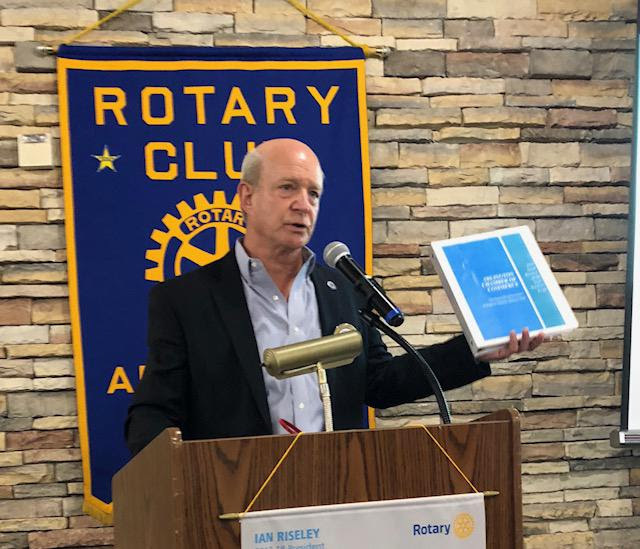 Rotary International President Ian Reislely was the keynote speaker at the event. 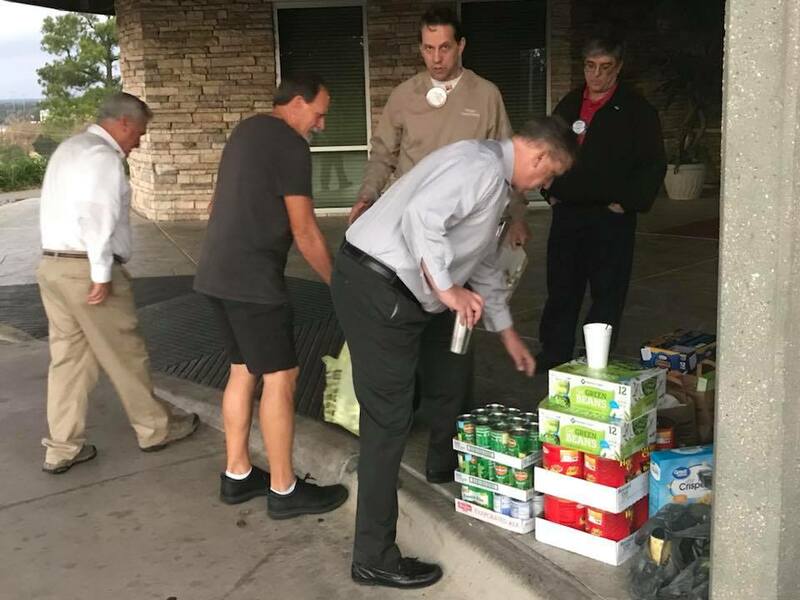 Today is Mission Arlington Food Drive day at Arlington Sunrise. 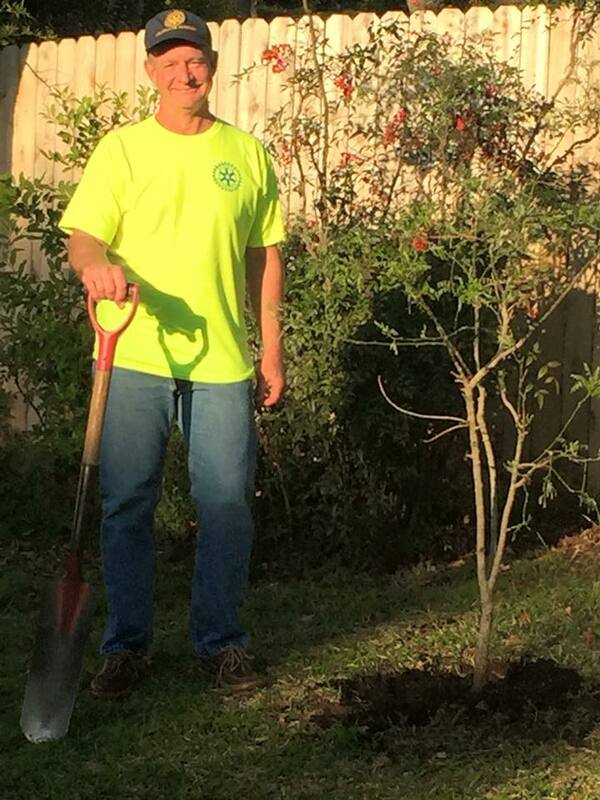 Thanks to David Berg for heading this up. 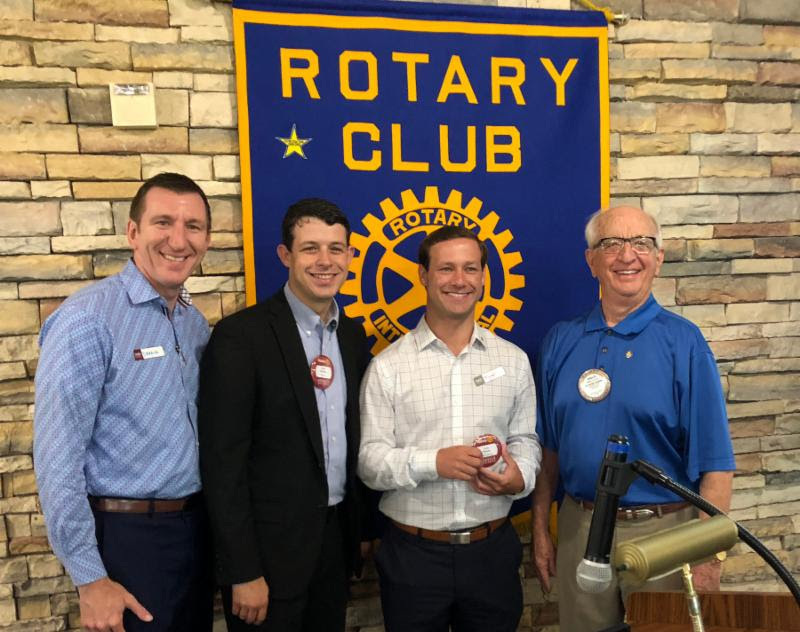 Several Sunrise Rotarians were on hand this morning at Thornton Elementary to present tablets to a Kindergarten student and a 3rd Grade for maintaining Perfect Attendance this past 6-weeks. Their teachers also received Gift Cards. 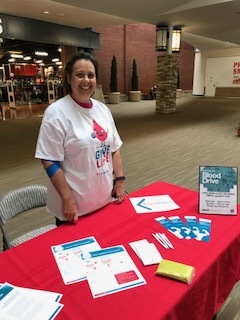 Under Blood Drive Chairman Shane Ferrell's leadership, the Arlington Sunrise Rotary Club was the Grand Prize winner in the annual Tarrant County Rotary Blood Drive Challenge. 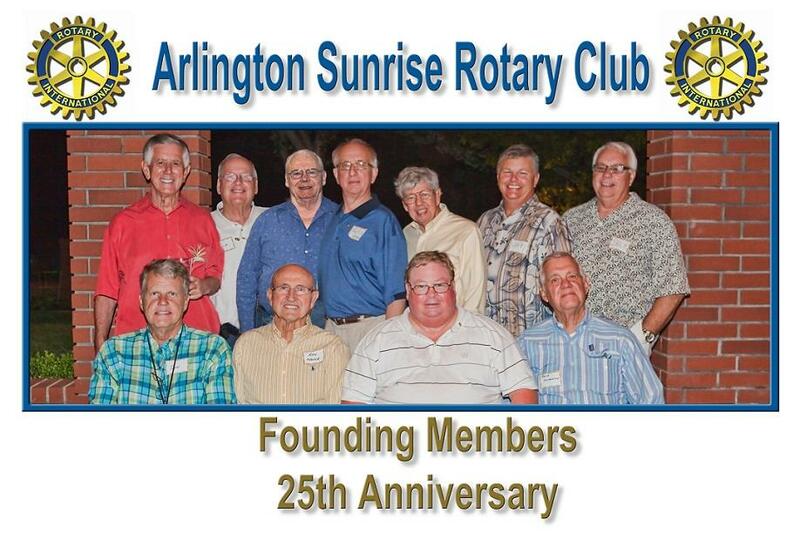 Arlington Rotary Sunrise Celebrates 25 Years! April 2012 marks the 25th Anniversary of the Club. 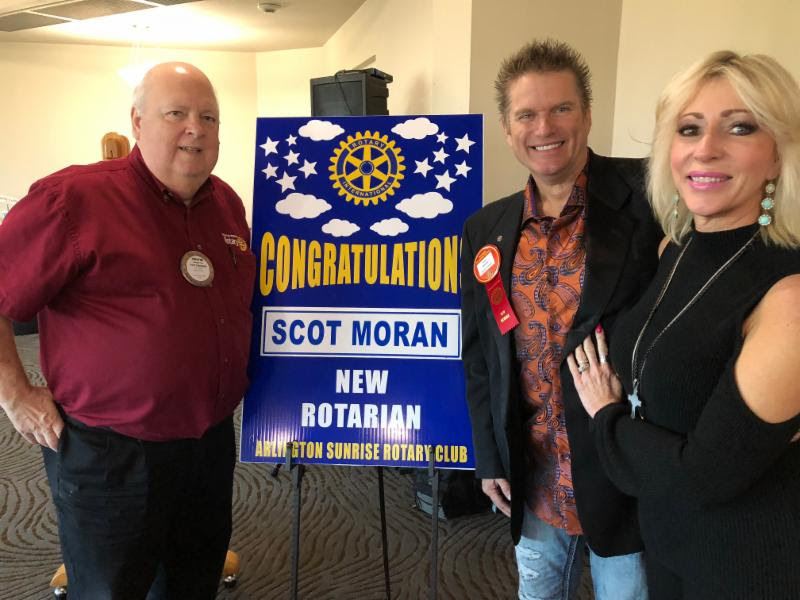 Club members celebrate with new and old and members of the club, including founding members.